MagGrow has been supported by Enterprise Ireland under its High Potential Start-Ups programme, and it was through connections made by the Irish trade and innovation agency that the company was introduced to Trimble – a $3 billion revenue company with several divisions including agriculture. Solutions from its agriculture division, Trimble Agriculture, allow farmers to operate more efficiently and productively, saving on input costs, and helping them to apply those inputs in a safe, responsible way. Europe’s agricultural workforce is expected to fall by 28% between 2017 and 2030, according to the latest agricultural outlook by the European Commission, largely as a result of structural changes within the EU agri-food industry and better employment opportunities in other sectors. This decline is not confined to Europe: the U.S. Department of Agriculture’s (USDA) Economic Research Service reports that the country’s agricultural workforce has been dropping for years. Specifically, the number of self-employed and family farmworkers in the U.S. plunged from 7.6 million in 1950 to 2.06 million in 2000—a 73% reduction. Elsewhere, data from the World Bank’s International Labour Organization shows that agriculture’s proportion of total employment continues to decline in most countries across the globe. At the same time, farmers are ageing: according to the Food and Agriculture Organization (FAO), the average age of farmers in the U.S. and other developed countries is 60. It’s not all doom and gloom, however. Despite the drop in labour in the U.S. of late, total farm output actually increased between 1948 and 2015, as per the USDA’s farming and farm income report, due to technological developments in agriculture. This demonstrates the value in providing agritech solutions that can not only assist and replace an ageing agricultural workforce but also improve farm efficiency and output. Technological developments are already making headway in the global agriculture sector, but there is still a long way to go to deal with the challenges it faces—particularly when it comes to improving efficiency and profitability in a sustainable manner. That said, advanced technologies such as autonomous farming and Artificial Intelligence (AI) can help overcome many of these. Harvest Automation, USA: A material handling company that provides robots to resolve manual labour problems in outdoor environments. Naio Technologies, France: Develops and manufactures robots for agriculture and viticulture as well as tools for weeding, hoeing and harvesting. Dairymaster, Ireland: A market leader in dairy equipment manufacturing with products such as automatic feeders and automatic manure scrappers. Precision Hawk, USA: Provides drones, UAV remote sensing applications and data processing services. Deepfield Robotics, Germany: Develops autonomous machinery to improve conventional and organic weed management. Universal Robots, Denmark: Manufactures collaborative robots that automate and streamline repetitive and monotonous processes. Robotics is already transforming agriculture in areas that do not require much human intervention and optimises farm land using data, AI, and other smart technologies. With the rise of drones, UAVs and robots, the future farm is expected to be highly reliant on autonomous farming, which will reduce reliance on human labour, thus alleviating the issue of declining labour. Not only will these automated systems improve the quality of produce, lower production costs and reduce manual efforts involved in labour, but they will also enhance the safety of field operations by enabling machines to operate in areas that are otherwise too dangerous for manned vehicles. Overall, solutions that deal directly with the challenge of labour shortages will be welcomed by the agriculture industry. The global agritech market is expected to reach €13.1 billion by 2030, up from €2.8 billion in 2016 at a compound annual growth rate of 11.9%, according to the Agricultural Technology Market Review from Satellite Applications Catapult. A need for the industry to produce more food in an efficient, sustainable and environmentally friendly manner is driving this growth, as the world’s rising population continues to put pressure on land and water resources. That’s one reason why investment in agritech has increased substantially in recent years: As stated in AgFunder’s agrifood tech investing report, investment reached $10.1 billion in 2017, up 29% on the previous year. At the same time, notable acquisitions by large agricultural companies including John Deere, Monsanto, DowDupont and Syngenta are all expected to contribute to market growth. These purchases show that these reputable companies have identified and responded to the opportunities within the sector at the centre of the future of farming. Innovative Irish start-ups have been transforming the agritech sector and achieving global success. For instance, Herdwatch was recently awarded the Silver Online Innovation Award at LAMMA 2019, the UK’s leading agriculture and machinery show, for the new Farm Medicine Scanner feature on its farm management app. 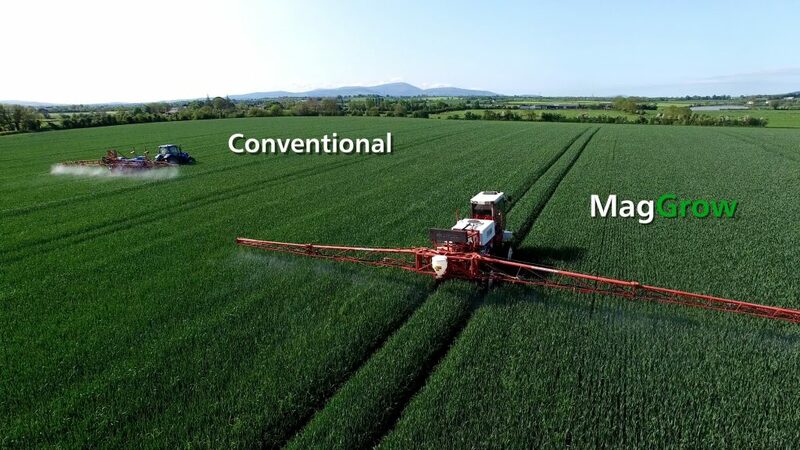 Meanwhile, MagGrow raised €3 million last November to fund the development and global roll-out of a breakthrough device that reduces unwanted and potentially dangerous drift from crop spraying. Based on case studies provided by various agritech providers on their websites, farmers are increasingly choosing agritech solutions. But having so many options to choose from can often complicate the buying process and result in costly purchases. That’s why farmers need to be clear on what exactly they need. For example, whether they need a farm app to manage their farming operations or buy precision machinery to use inputs efficiently. That said, there are very few agritech solutions that cover a multitude of pain points, which highlights a need for more all-in-one solutions. Thus, agritech providers who can offer comprehensive solutions that meet multiple needs for minimal investment will stand out in the market. This also presents opportunities for collaborations and partnerships in the sector that will increase the availability and efficiency of solutions offered to farmers. Keenan InTouch: InTouch is a cloud-based technology that links feeding machines across the world with a live monitoring centre to provide farmers with real-time analysis and optimisation of animal diet, health and performance. Specific solutions are: Consistency in both feeding and mixing, improvement in milk yield and milk solids, faster finishing, monitor and control feed costs, herd health improvements, and ration formulation. Moocall: Moocall provides beef and dairy farmers with wearable sensors that solve the main issues relating to calving, heat detection and herd management to help ensure efficient and profitable farming. Agritech is now widely recognised as the future of farming, given that it is expected to help solve some of the biggest challenges facing the industry. But while there has been a marked increase in innovation across the industry, most solutions available on the market target different areas, meaning that farmers must invest in a range of different solutions from different providers. Although some collaborative solutions already exist — such as precision technologies mounted on tractors and the Keenan InTouch technology that can be used with any mixer wagon — there is still a need for more. In order to limit the challenge of farmers facing too many choices, agritech providers that think about adding value by providing all-in-one solutions will stand out in this market. These comprehensive and collaborative solutions will provide more value to farmers, increase adoption rates and thus support market growth. Agricultural manufacturer Abbey Machinery is targeting growth in South Africa after its diet feeder machines proved their mettle with farmers in the country’s demanding highveld. 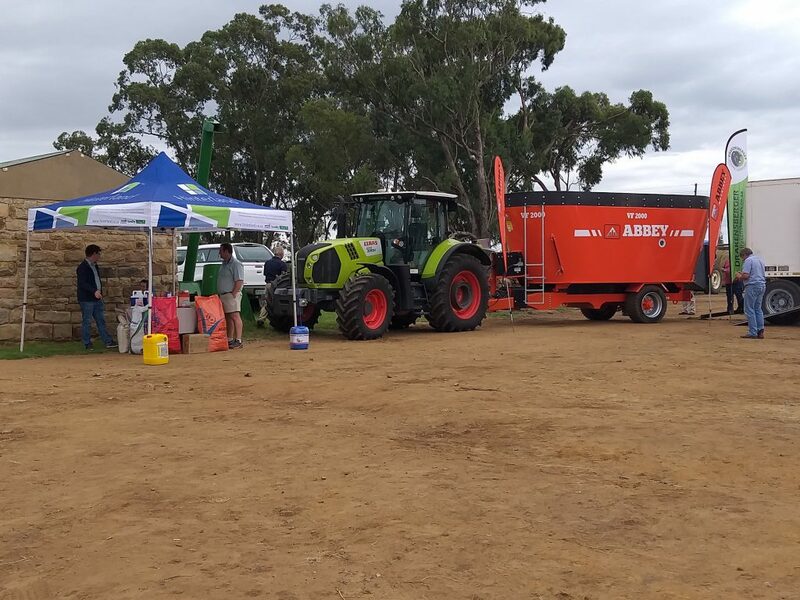 The Tipperary agricultural machinery manufacturer sold a VF2000 feeder machine to a large farmer in the Mpumalanga province, South Africa, last November and has since exhibited the same product to other farmers, including at a major agricultural show. 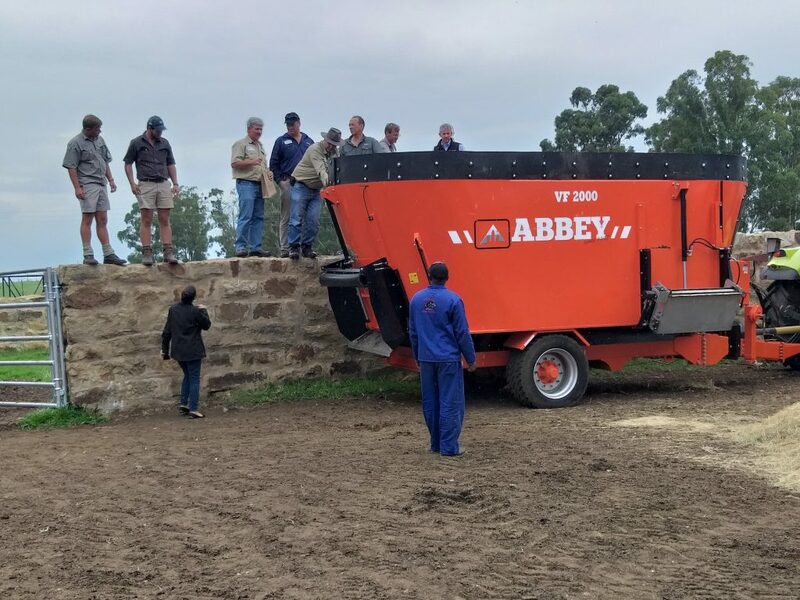 The machine’s ability to mix tough indigenous hay with other feed at low horsepower has been well very received from South African farmers and Abbey Machinery is now fast-tracking plans to develop South Africa as a new export market. The opportunity emerged when South African agricultural machinery dealer Nico von Wielligh contacted Abbey on behalf of a South African. The dealer and farmer travelled to Abbey Machinery’s plant in Toomervara in Ireland’s County Tipperary to see the range of diet feeder machines, resulting in purchasing of the VF2000 feed mixer. A demonstration of the Abbey Machinery feed mixer, that was purchased by the South African farmer, during the conference in Ermelo. Michael travelled to South Africa in February 2019 to officially launch the diet feeder at the Drakensberger Cattle Breeders Society meeting, which was held on the customer’s farm. Nico von Wielligh is now partnering with Abbey to roll out the brand across South Africa. Dr. Ureshnie Govender, senior market advisor covering life sciences and agritech for Enterprise Ireland in South Africa, believes that Abbey Machinery’s approach of partnering with a local dealer and travelling to meet potential customers in country will pay dividends. New agritech slurry management system along with a wide range of equipment that increases agricultural efficiency. As experts in farm management equipment for feeding, slurry management and grass care, Abbey Machinery is helping customers improve their efficiency with a range of new applications that form a ‘total cow’ management system. These include flow control on tankers for precise slurry spreading, precision diet feeders that track input use, costs and waste and grassland management. The Irish agritech company based in Tipperary, has more than seven decades of experience in manufacturing agricultural equipment and exports 60 per cent of its products – with the UK as the biggest overseas market. “Ireland is an island, so there is only so far we can expand here, it’s been our strategy to further expand exports to other countries,” says Michael O’Grady, Head of Sales, Marketing and Business Development at Abbey Machinery. Abbey Machinery is one of Ireland’s oldest and most respected equipment manufacturers, having been founded in 1947, and is now run by the third generation (Clodagh Cavanagh) of the founding Cavanagh family. The company manufactures 88 product lines (across seven product groups) in a variety of sizes to suit different markets, and is agile in its approach to varying market needs. As well as exporting to the UK, it sells to international territories including Europe, Australia, New Zealand, Asia, the Middle East and Africa. “One of the benefits of selling to different countries is that we can learn something new and apply that knowledge to the next iterations of products,” says O’Grady. “In the UK, there has been a particular requirement recently for larger machines for the more professional farmer/contractor and there are now more queries regarding the live sensing of slurry equipment to know and apply exacting quantities of slurry based on field and crop requirements. The company also incorporates agritech technologies into its diet feeding equipment such as a TMR Tracker, that enables accurate loading and mixing of feeds, assessment of waste levels, dry matter intakes, margins over feed costs, feed costs per litre, and feed stock management. They recently won two awards, with Clodagh Cavanagh, Managing Director of Abbey Machinery, winning the University of Limerick Alumni Award for her ‘Contribution to business’ and was selected as CEO of the year at IMAGE Businesswoman of the Year Awards, which is hosted by Image Magazine. Although Abbey Machinery is a well-established Irish agriculture manufacturer and retailer, the company is pleased to gain assistance from Enterprise Ireland – the Irish Government’s trade and innovation agency – when it looks to explore new international markets and exploit existing markets. “They are excellent and help us to research new territories and explore market needs and opportunities. They help by guiding us and giving us proper focus and they are always enthusiastic in their support,” says O’Grady. Herdwatch is on a mission to remove paperwork from the farm. CEO and co-founder Fabien Peyaud envisages a day when all farmers need to manage their paperwork is a smartphone and his company’s award-winning farm management app platform. One of the true pioneers of the agritech sector in Ireland, Herdwatch developed their first mobile app to help farmers comply with traceability regulations five years ago. Now, the app is used on more than 10,000 beef, dairy, sheep and tillage farms across the UK and Ireland. Fabien says: “We have 8,000 paid subscribers and another 2,000 on the free version. Herdwatch is the number one farm software provider in Ireland and the UK. There’s only one company in the world that has more farms on their platform and they’ve been around for 30 years, whereas Herdwatch started five years ago. One side of the Herdwatch app manages all the compliance and regulatory information a farmer needs for his herd – everything from how old each animal is, calf registration and movements in and out of the herd; to recording medicine purchases, treatments and vaccinations for individual animals. Fabien explains: “Helping farmers save time and money is our bread and butter. The app manages all the compliance and regulatory information a farmer needs for their herd – it takes paperwork out of the equation, saving farmers time and hassle on that side. “Farmers have to be compliant with various schemes and Herdwatch helps them record information as it happens in the field and be confident that they are compliant at all times. Innovation has been at the heart of Herdwatch’s success and at its base in Roscrea in Ireland’s County Tipperary, the company spends around half of what it earns on R&D to ensure that its product is always moving forward. The latest version of the app, Version 5.5, makes increasing use of the smartphone technology. A new Farm Medicine Scanner allows beef, dairy and sheep farmers to scan animal medicines and record their use with a smartphone. The Herdwatch app uses the phone’s camera to read the barcode or QR code on a medicine container and run the information directly into the app. The feature – which increases medicine traceability and compliance – won a prestigious Innovation Award at the LAMMA 2019 agriculture and machinery show in the UK. Another recent innovation is a feature that allows farmers to order replacement tags for their animals directly from the app. Fabien believes that new features and uses are key to the continued growth and success of Herdwatch. He says: “Compliance is why people get Herdwatch but the reason they keep the app is what we do on the management side – particularly over the last couple of years. “We’re also really focusing on bringing farmers actionable information in their hands that allows them to make the right management decision. Things like milk records are coming into the app, so farmers can see the output of their animal and make decisions about which animals to keep and which not to. The company’s direction includes looking at entering other markets over the next two years. Germany, the Netherlands, the US, Australia and New Zealand are on the shortlist, as is Fabien’s native France. “One of our goals is to try and bring in all the other technology that a farm has and allow the farmer to see and interact with those on Herdwatch. We believe that at some point there will be a need for convergence because farmers will demand it. From saving trees through reduced paperwork to saving the planet through reduced carbon emissions, Herdwatch’s pioneering spirit is as strong as ever. Irish agritech is, like the proverbial farmer, outstanding in its field. Fittingly, this expertise has its roots in the land. At the Ceide Fields, a globally unique archaeological site and visitor centre in Ireland’s north County Mayo, visitors can see evidence of field systems and animal enclosures that date back more than 5,000 years: 2,000 years before construction of the pyramids began. This farming heritage, spanning 200 generations, provided the seedbed for the world class agri-food sector Ireland boasts today. “Our very successful agri-food industry hasn’t come from nowhere but has evolved over hundreds of years,” says Tom Kelly, divisional manager for innovation and competitiveness at Enterprise Ireland. 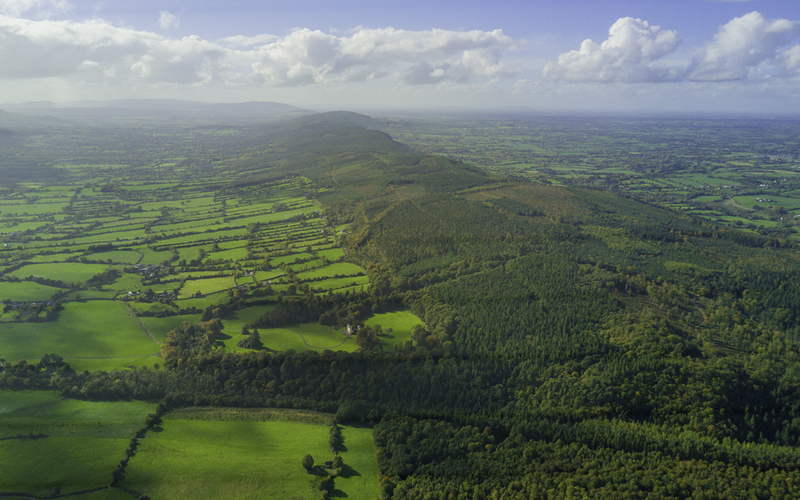 From the rich pasturelands of the “Golden Vale”, which spans Tipperary, Cork and Limerick, to the expansive vegetable farms of north County Dublin and the fruit growers of County Wexford, in Ireland’s “Sunny South East”, Ireland’s farmers are adept at making best use of their land. Indeed, it’s the limestone under Kildare, and the calcium-rich grass that grows over it, that produces Ireland’s world-class thoroughbred horses. 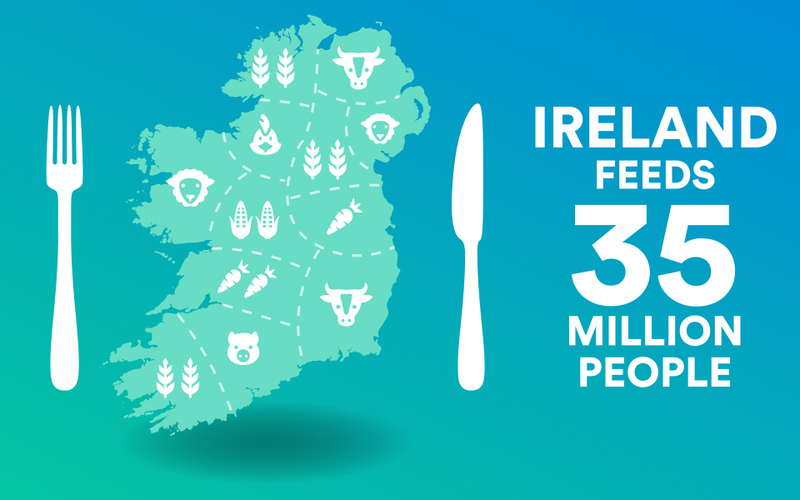 All such strengths have helped to position Ireland as one of the world’s great locations for food production. “One of the great contributions Ireland makes is as a source of food of exceptional range and quality. It’s how we – a country of just five million people – are able to feed 35 million people,” says Kelly. 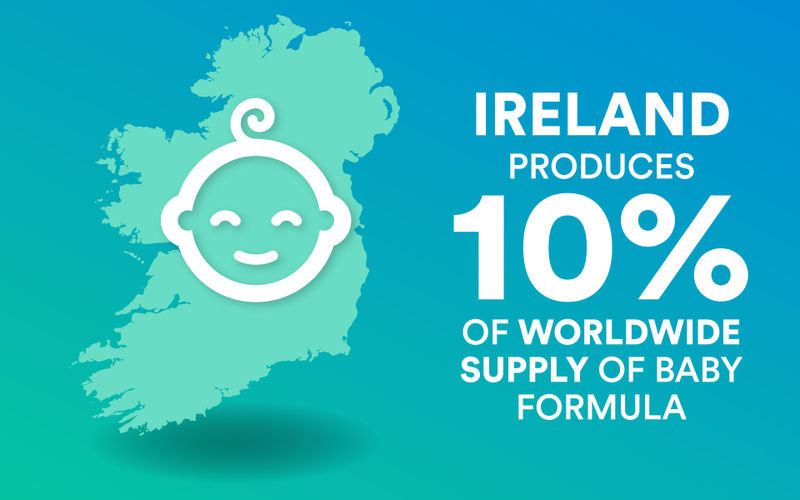 It’s also why Ireland enjoys exceptional success as one of the world’s leading producers of infant baby formula, producing 10% of worldwide supply. But Ireland’s long and rich farming tradition has also yielded a world-class agri-mech sector. The country has produced some of the world’s leading agricultural machinery companies. Dairy technology company Dairymaster powers dairy parlours around the world. Feed systems technology company Keenan Systems, a major international exporter, is now part of global giant Alltech, the animal nutrition group which was itself founded by an Irish entrepreneur, the late Dr. Pearse Lyons. Ireland’s crop of agritech innovators also includes global exporters such Abbey Machinery, which combines a heritage dating to the 19th century with cutting edge innovation derived from its in-house R&D department. High-tech equipment makers such as HiSpec Engineering, Prodig, AgriSpread, Malone Farm Machinery and Tanco Autowrap are succeeding around the world. Part of their export success stems from building equipment that can handle Ireland’s varied weather and conditions – making it robust enough for almost anywhere on the planet. “We produce the food. We produce the equipment that produces the food. Now we are seeing the convergence of that heritage and expertise with new sensor-based and wireless technologies, giving rise to another level of Irish agritech,” says Kelly. It includes a fresh crop of innovators, developers of applications such as Moo Monitor, often referred to as a FitBit for cows, and Herdwatch, a CRM system for cattle. Products such as Intouch Pace, from Keenan Systems, and companies such as Terra NutriTECH, offer smart monitoring of nutrition and minerals in feed and water systems. True North Technologies creates apps that monitor everything from grass growth to animal behaviour. “The result is that, while Ireland already has a very exciting cohort of existing companies, we now have very exciting new ones emerging as well,” says Kelly. He subscribes to the theory that much of this innovation stems from the fact that farmers, by their nature, are entrepreneurial, typically applying a “can do” attitude to challenges. As we know from the Ceide Fields, Ireland has long been a nation of farmers. “Farmers, by their nature, look to find practical solutions,” he says. Today that means making the very best use of their land through the innovative use of precision agriculture, devising and utilising technologies that maximise their return from the ground while doing the very least damage to it. “Right now, one of the biggest challenges facing the planet is how to produce more food for an increasing population. We have to generate more food but in a way that is mindful of the sustainability of solutions,” he says. In developing such solutions, Ireland’s agritech sector benefits from the deep technology talent pool we have here. This arises both from the country’s status as a global hub for ICT – all of the world’s top IT companies have a presence here – and from the strong R&D collaboration that exists between agriculture and the third- and fourth-level education sector. This makes Enterprise Ireland’s network of offices around the world a perfect first port of call for international agricultural buyers looking for innovative solutions. “If Irish agritech companies don’t have the solution you need, chances are they are either already working on it, or can work on developing it with you – so get in touch,” he says. “At a time when the world faces many challenges, particularly in relation to environmental impact, we have Irish companies providing solutions that take account of sustainability and make use of all the new technologies that are emerging,” he says. Five thousand years’ worth, in fact. Fast-growing Irish agritech company Herdwatch has been awarded the Silver Online Innovation Award at the UK’s leading agriculture and machinery show. Herdwatch, based in Roscrea, Co Tipperary, was honoured by LAMMA 2019 for the new Farm Medicine Scanner feature on its farm management app. Ireland is playing a major part in the global agritech sector. The Farm Medicine Scanner allows beef, dairy and sheep farmers to scan animal medicines and record their use with a smartphone. The Herdwatch app uses the phone’s camera to read the barcode or QR code on a medicine container and run the information directly into the app. The scanner is able to identify the medicine, its corresponding Veterinary Medicines Directorate (VMD) number, and also its batch number and expiry date. The feature saves time, increases medicine traceability and compliance on farms, and provides assurance to farmers that their records are 100% accurate. In just five years, Herdwatch has grown to become the second largest farm management app and platform in the world by making it easy for dairy, suckler, beef and arable farmers to comply with animal welfare and traceability regulations at all times. The Herdwatch app is used on more than 10,000 farms across the UK and Ireland. It saves farmers an estimated two to three hours of paperwork every week by recording farm and animal events digitally as they happen. The company has won multiple awards in Ireland and the UK since launching its app in 2014, and CEO Fabien Peyaud said that this latest success was testament to the hard work of all of Herdwatch’s 14 employees, half of whom work in research and development. Mr Peyaud said: “The amount of work which goes into something which looks so simple, like the Farm Medicine Scanner, is phenomenal so an award like this is a huge boost for us. “It’s recognition for the team and all their hard work. It’s also confirmation that we’ve done something that makes a difference for farmers. Find more information on innovative agritech companies here. With a farming heritage that extends back over 200 years, Ireland is also at the forefront of agricultural innovation today. Not only does Ireland offer one of the world’s most productive agricultural systems, its conditions are an ideal test bed for farming machinery that is used in every part of the world. The agritech industry worldwide is quickly and constantly evolving. In Ireland, research and development is government funded and backed by world-class agricultural science and technology university programmes. Thanks to this farming pedigree, Ireland produces enough food for seven times its population, including 10% of the world’s infant milk formula. The country’s beef and milk output are famous worldwide, while 15 tonnes of dry matter are produced per hectare of grass. 81% of Ireland’s agricultural land is used for silage, hay, and pasture. As a result, it is not surprising that Ireland’s small and medium businesses are number one in the EU for innovation and lead the way in smart farming, robotics and the Internet of Things (IoT). Furthermore, Irish innovations like zero-grazing technology have been adopted around the world, while the country’s manufacturers are constantly breaking ground for the next generation of farming. Enterprise Ireland is ready to help you benefit from all of this expertise and innovation. Our advisors work to understand your needs and shortlist the best partners for you, and will even make ntroductions. Get in touch and let Ireland’s agriculture advantage solve your biggest challenges. Amid the rush for increased use of digital technology in farming, it can be easy to forget that a different form of technology is still very much the backbone of every farm operation. Farmers need strong, reliable, innovative machinery and engineering solutions to improve their processes, save labour costs and ensure profitability in farming. Irish companies have been exporting farm machinery around the world for generations. Enterprise Ireland nurtures and champions Irish companies that are export focused and ready to scale-up their manufacturing capabilities and enter new markets. Areas where Irish companies are leading the way in agricultural manufacturing solutions include mixing and feeding, grass management, dairy, water management and general farm machinery. Abbey Machinery manufacturers a wide range of slurry and manure handling equipment, grassland management equipment and animal feeding equipment. Michael O’Grady is Abbey’s Sales, Marketing and Business Development Manager. “We have machinery to cover both ends of the cow,” he says. “Our diet feeders are unique in how precise they are, chopping and mixing the feed, and doing it efficiently so that the machine runs on one of the lowest horsepower motors on the market. Agricultural conditions vary around the world, so Abbey makes sure to make the best match between their machines and their export markets. ProDig brought its expertise in manufacturing machine attachments for the construction sector into agriculture 10 years ago, and quickly developed a reputation for the quality and versatility of its machinery. ProDig’s product range includes Shear Grabs, Shear Buckets, Bale Handling Attachments, Folding Grass forks, Hi Tip Buckets, and Bag fillers – all of which are designed and manufactured at the company’s purpose-built factory in County Carlow in Ireland. Donny believes that the importance of agriculture to the Irish economy means that companies have an acute understanding of what farmers need to support their work. Market-leading expertise can be found in many companies supported by Enterprise Ireland. Tanco Autowrap’s patented packaging systems for bale wrapping include machines, which allow for simultaneous bale unloading and next bale re-loading, as well as automatic loading. Keenan Systems made its name more than 30 years ago manufacturing very robust animal feed mixer wagons. However, their ability to demonstrate the benefits of their machines has been a real game changer. Keenan CEO, Robbie Walker explains: “Ten years ago we realised that farmers were no longer just content with solid engineering, they wanted to buy something that gave a good output, so we started showing farmers that if they used our feeding machines they would see better results. For example, dairy farmers were going to be producing more milk from less resource, and that they were going to have a better carbon footprint and lower emissions. “We got some patents for that and that gave us quite a global renown for this approach. Then more recently, through using digital technology, we started selling a consulting service along with the machine to ensure that farmers can get the most benefit from it. This convergence of machinery and technology provides the best outcome for farmers in terms of efficiency and profitability, and it is here that many Irish companies are demonstrating a market-leading advantage. The agriculture industry faces many challenges. While the global population is forecast to reach almost 10 billion by 2050, land and water resources are limited. There are labour shortages and prices are volatile, yet consumers demand more ethical and sustainable farming models that reduce greenhouse gas emissions. As farmers are asked to produce more with less while maintaining profitability, increasingly they are turning to technology to achieve their goals. The global agritech market was valued at €2.71bn in 2016 and is expected be worth €13.1bn by 2030 (Source: Satellite Applications Catapult), while 70-80% of new farming equipment sold today is equipped with some form of precision farming component. The Irish agritech sector has a well-deserved reputation for innovative products that enhance the success of traditional farming practices, while also delivering affordable solutions in areas including machinery, farm management software, sensor, grass management, milking, feeding, and water and power management technologies. Keenan Systems is a traditional agricultural manufacturer that has embraced innovation and technology to provide new services for customers around the world. Its pioneering InTouch technology ensures that animals are fed an optimised diet by ensuring they get exactly what they need on a daily basis, while also improving animal performance and providing real-time information to farmers as they work. Michael Carbery, engineering and innovation manager at Keenan, says, “We reduce the amount of time consumed by the feeding process itself. Most farms today have very varied infrastructure, so you’re looking for a very flexible solution and that’s the avenue we’re pursuing – ensuring that we can upgrade, attach or retrofit our feeding technology to existing machinery. Dairymaster has developed a reputation as a global leader in high-tech dairy equipment manufacturing. The Kerry-based company has filed for more than 90 patents for products across milking equipment and cooling tanks, feeding equipment and automatic manure scrapers, and health and fertility monitoring systems. Fergus O Meara, international business development manager at Dairymaster, says that an innovative approach to integrating technology and traditional farming machinery has helped the company expand into 40 countries worldwide. He says, “Technology and traditional farming machinery have moved very close together. Our milking and feeding machinery improves cost-efficiency in milking speed and yield while still looking after the cow, but it’s also backed up by monitoring equipment which keeps the farmer in control of their animals and provides them with information when they need it. Prodig Attachments is focused on machinery which addresses more basic concepts as reducing the physical workload for and labour costs on farms. Prodig director Donny Nolan says, “Data is wonderful, it can track what you’re doing and how profitable you are and what to change but you still need the basic tools to do the work every day. To innovate within those basic tools and come up with new ideas and faster solutions for the basics – the attachments, bailers and other tools – is vital. If you make the basics better, you make the overall better. One new innovator is Moocall who produces wearable sensors that predict the onset of calving. Paul Kenny, international sales manager for Moocall, believes that technology is essential for farmers to be able to handle their workload and maintain profitability. Herdwatch is one of the pioneers of the agritech sector in Ireland, developing the first mobile farm management app to help farmers keep up with paperwork and comply with traceability regulations. The app is now used on more than 8,000 beef, dairy, sheep and tillage farms across the UK and Ireland.